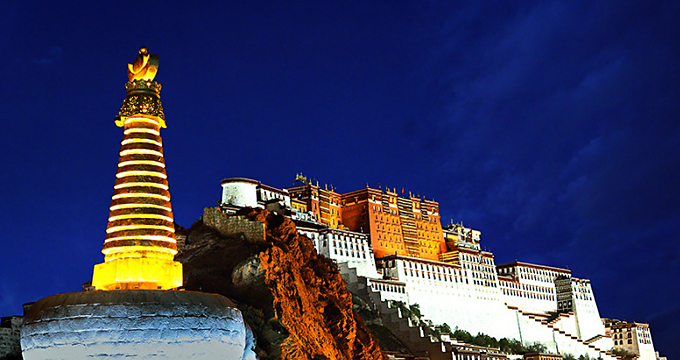 The first day of sightseeing starts from Lhasa’s cardinal landmark – Potala Palace, a structure of massive portions. Its towering image already appearing on various occasions, but your first sight of the Potala will still be an awe-inspiring moment. It takes at least a good 2-hour to visit those rooms, halls and chapels. 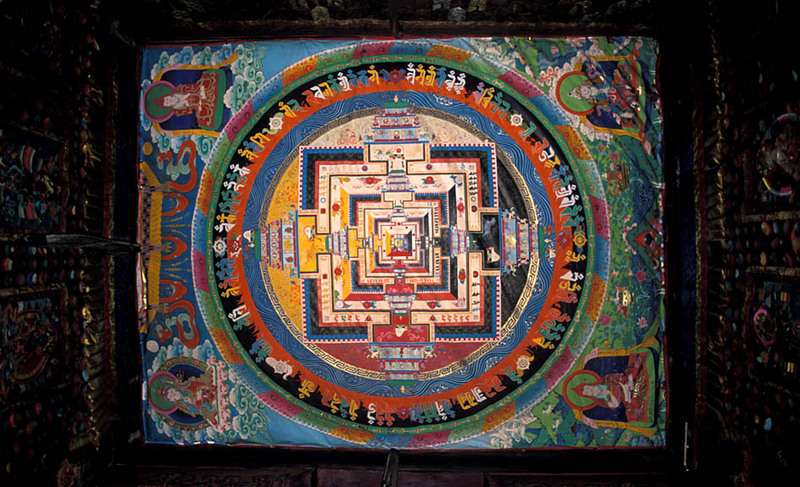 Some 2km to the east of the Potala is the most revered religious structure in Tibet – Jokhang Temple. 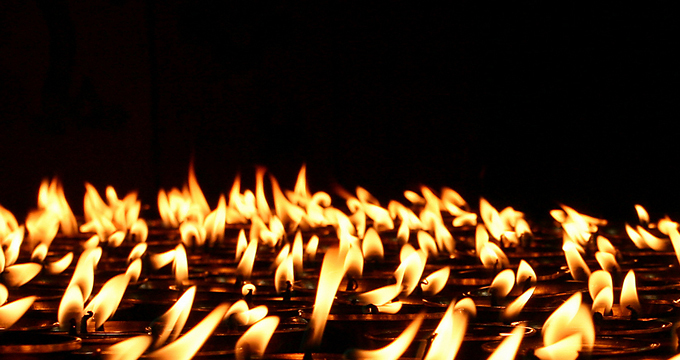 Bustling with worshippers and redolent with mystery, the Jokhang is an unrivalled experience. 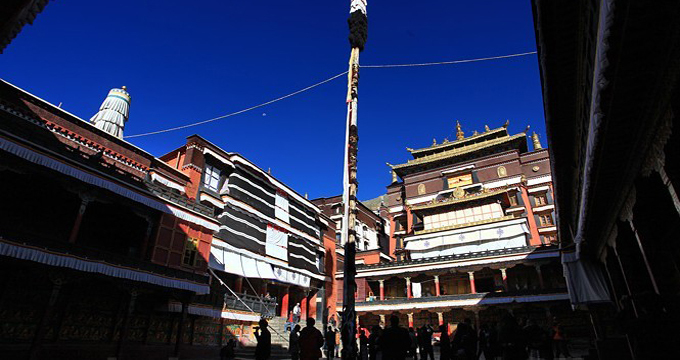 The quadrangle of streets surrounding the Jokhang is the Barkhor– Lhasa’s most interesting pilgrimage circuit. This area of the Old Town is both the spiritual heart of Lhasa and the main commercial district for Tibetans.Overnight in Lhasa. 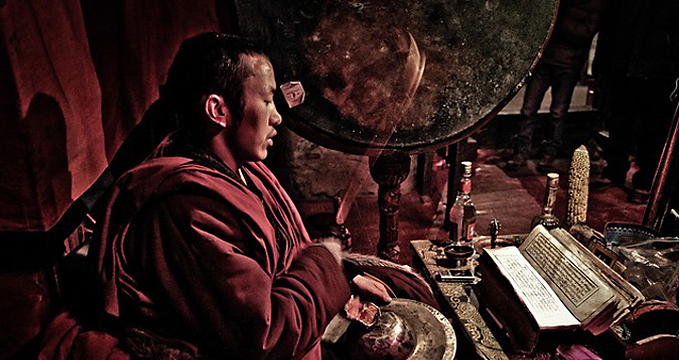 Visit Drepung Monastery and Sera Monastery. About 8km west of central Lhasa is the Drepung, once world's largest monastery with about 10,000 monks. This day's sightseeing begins with these white monastic buildings piled up on the hillside. 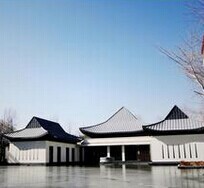 Walking up to the hill is a pleasant thing, an easy break from the solemn ambience inside the halls and chapels. At the plat roof of hillside, you can have very good views of the whole Lhasa city and the distant mountains. 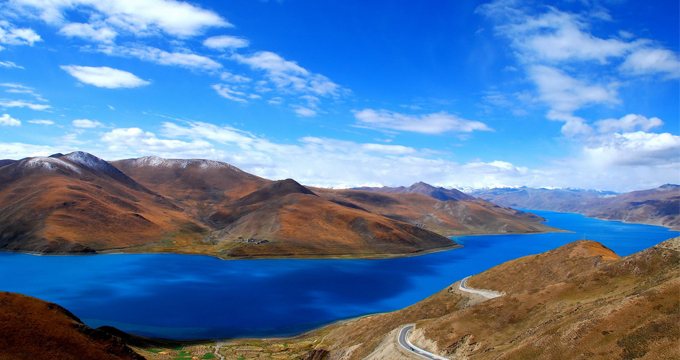 Yamdroktso(4441m), one of Tibet’s three holy lakes, is located 110km outside of Lhasa. In the fresh morning air, you’re on the way to this lake. It’s mostly mountain road, winding and bumpy, even thrilling somewhat. After about 3 1/2 hours’ driving, climbing over the snow pass of Kambala(5030m), the dazzling Yamdroktso just lies several hundred meters below the road, and in clear weather is a fabulous shade of deep turquoise. Far in the distance is the huge massif of Mt. Nojin Kangtsang(7191m). Shigatse becomes clearer cause it’s just 1 1/2 hours’ driving (98km). Miles away from Shigaste, you can already see the gold tops of Tashilhunpo shinning under the sun. While Tashilhunpo’s magnificent outside leaves you gasp in admiration, the inside of this monastery introduces you more religious tranquility and sincerity. Just close Tashilhunpo is the Old Town of Shigatse, a great place to wander around: Nicely decorated Tibetan houses and interesting market and bazaar give you a vivid picture of local people’s life. Overnight in Shigatse. Miles away from Shigaste, you can already see the gold tops of Tashilhunpo shinning under the sun. 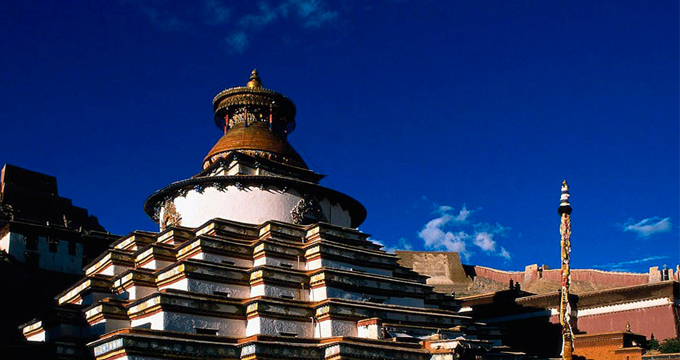 While Tashilhunpo’s magnificent outside leaves you gasp in admiration, the inside of this monastery introduces you more religious tranquility and sincerity. Although it’s just 100km from Shegar to Base Camp(5200m), it takes about 4 hours since the cracked winding roads demand much caution. 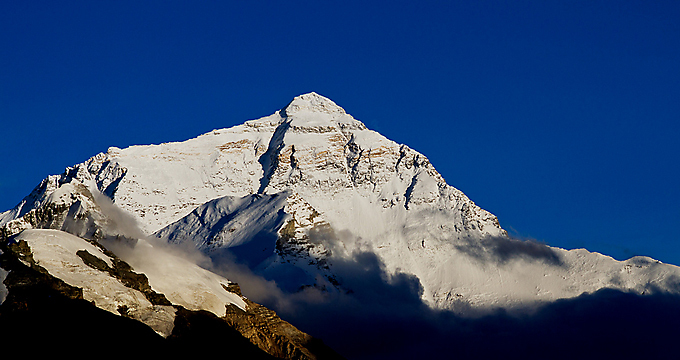 But the views are stupendous on a clear day, and feature a huge sweep of the Himalaya range including peaks over 8000, Makalu, Lhotse, Everest, Gyachung and Cho Oyu. 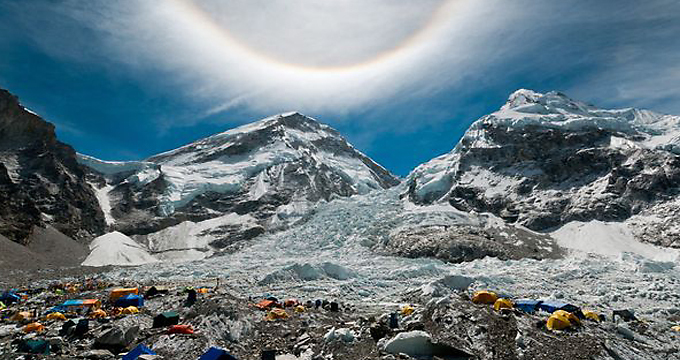 When you finally get to Base Camp, the first sight of the mighty Everest simply leaves you speechless. All the hardship you bear along the way makes sense at this while. After breakfast, pack your luggage transfer to airport. 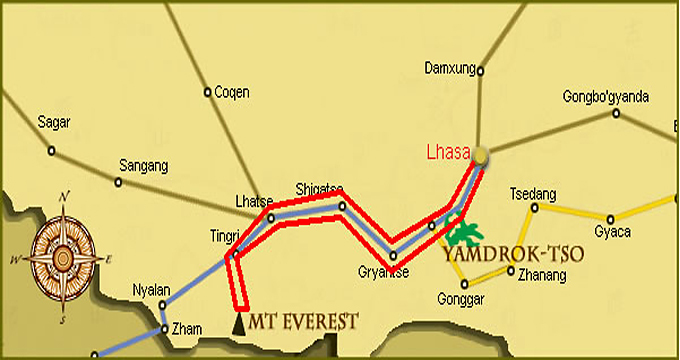 Leave Lhasa.